Jon Ensminger’s piano student practicing a custom passage in Rhythm Lab. 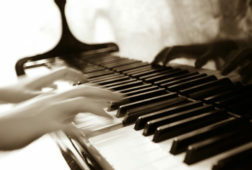 Most pianists have been tripped up by difficult rhythms at one point or another—such as counting a 16th-note rest in a Bach Invention, or trying to play triplets on one hand while maintaining eighth notes with the other. 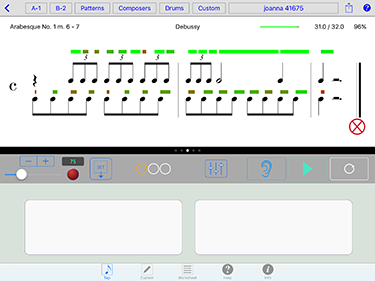 The Rhythm Lab app for iPad ($4.99) can help music students internalize rhythms, starting with simple quarter notes and half notes, and progressing to advanced patterns including quintuplets, hemiolas, and 7/8 time signatures. The app displays a few measures of music that you’ll have to tap in time to the beat, with either one hand or two. 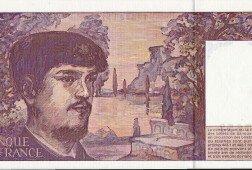 You can preview the correct execution of the passage. Then as you attempt to tap out the rhythms yourself, a scoring system (and optional “wrong” noises) lets you know how you’re doing. 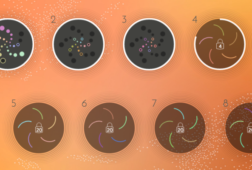 Rhythm Lab’s lack of melody may throw off some pianists in the beginning—the opening motif of Debussy’s Clair de Lune is barely recognizable when played in the monotone sounds of the app—but if you use the app in proximity to your sheet music and your piano keyboard, you’ll be able to make the connection. 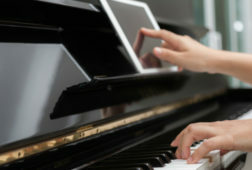 Users who own a MIDI keyboard have the option of hooking that up to the app so they can play the actual notes along with the rhythm rather than tapping on the tablet’s screen. 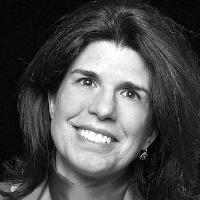 In fact, it is the absence of notes that forces you to focus on rhythm, and rhythm alone. In fact, it is the absence of notes that forces you to focus on rhythm, and rhythm alone. The app gives you the option of slowing down the tempo, and saving your preferred speed, so you can get a better handle on a passage before working on it at the recommended tempo. Another feature especially useful for classical pianists is the option to test note lengths, so that you are encouraged to hold down your finger for the full length of each note rather than just tapping in time with the beginning of the note (found in Settings). 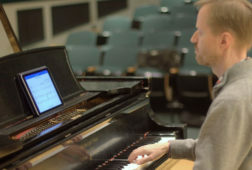 With all of these features geared towards piano students and teachers, it shouldn’t be a surprise that Rhythm Lab was created by a full-time piano teacher, Jon Ensminger, who has both a DMA (Doctor of Musical Arts degree) in piano pedagogy and a Bachelor’s in computer science. 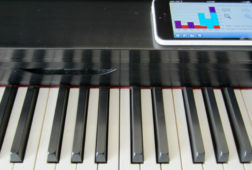 Ensminger launched the app in 2013 after having taught piano for over 30 years. 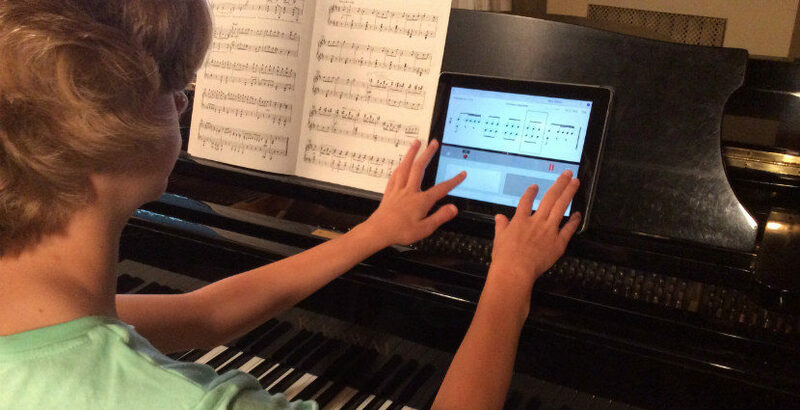 Piano teachers and self-disciplined amateur pianists may also want to try the custom worksheet feature, which lays out on paper the rhythmic patterns you’d like to focus on. You can email or save these worksheets as PDF files, in order to work on them while away from the iPad. Whether you are a beginner student working on your music reading and counting skills or an intermediate or advanced amateur pianist tackling a complicated two-handed rhythmic combination, Rhythm Lab could be a useful addition to your practicing toolbox. 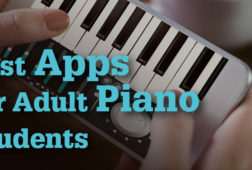 Unlike some of the other piano apps we’ve featured, it encourages you to focus solely on rhythm and to practice anywhere, even if a piano is out of reach.